I thought you might like a tour of San Nicolo in Castelfondo. The Genetti family worshipped at this church for hundreds of years. It was built between 1508 and 1530, the building was later added onto in the 20th century. 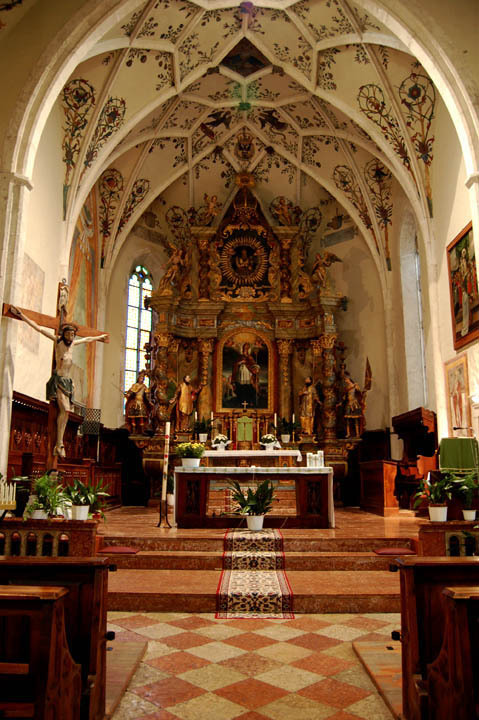 The ceilings are high and vaulted, with many frescoes gracing the walls. 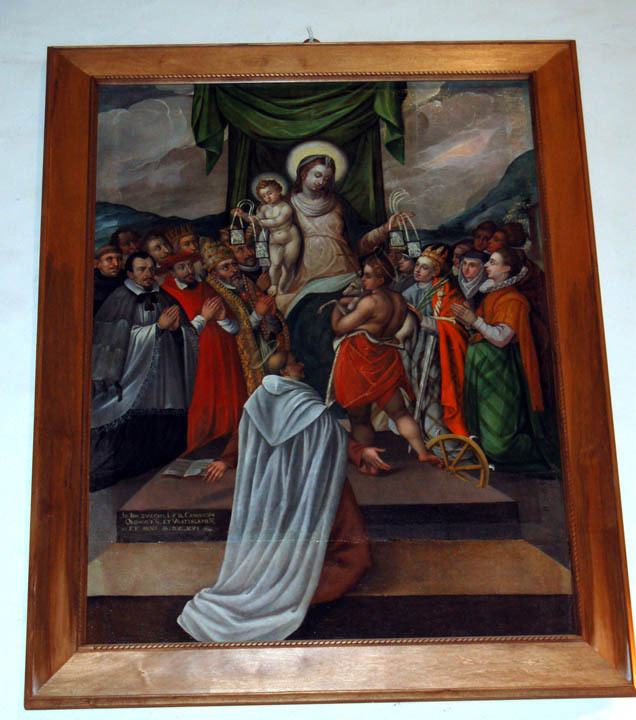 Baptismal records for San Nicolo begin in 1565. It was about this time that Rome mandated all Catholic churches to keep records of baptisms and marriages. Death records began later and appear to have been kept not by the church, but by some other town official. I found the black and white photograph of the church online (see below). It dates to about 1890. The other photos were taken on my last visit in 2011. During my visit a lovely little lady was kind enough to turn the lights on in the church. It had been explained to her that I was Damiano Genetti’s great-granddaughter. On hearing this she nodded and enthusiastically took me by the arm, escorting me to the altar. She pointed at different statues of saints and explained in Italian who they were. I smiled and nodded too, so happy she was sharing this beautiful place of worship with me. I only know a smattering of Italian, but that was just fine. For what she was showing me really needed no words. Here was the place where my ancestors had walked and worshiped for centuries. There was even one ancestor who presided over mass, (my 3rd great grand-uncle was the parish priest from about 1821 till his death in 1850). With just a little imagination I could easily be transported back 200 years – to catch the scent of burning incense in the still air, see the light filtering through the rose stained glass window and hear the ghosts of ancestors past chanting the mass in Latin as they knelt in prayer. Photograph of San Nicolo Church (Saint Nicholas) dated around 1890. View of today’s church photographed in 2011. 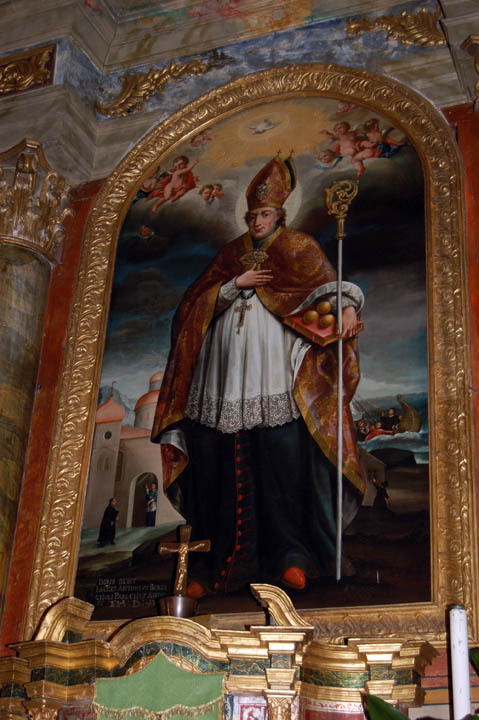 Saint Nicholas is the patron saint of Castelfondo. 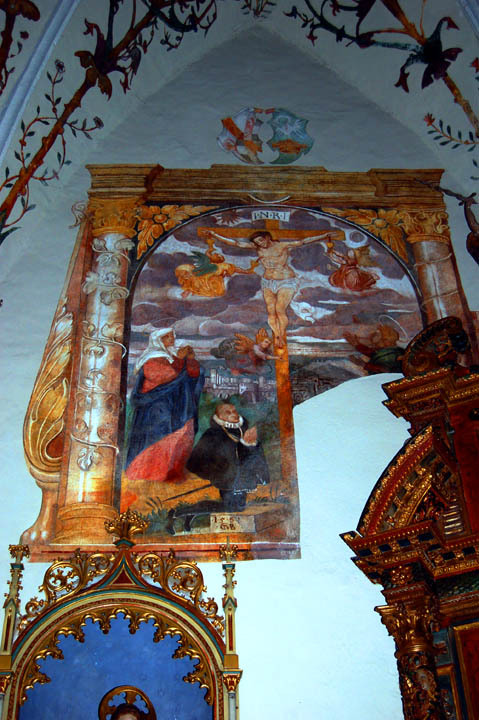 Close-up of altar painting of San Nicolo. 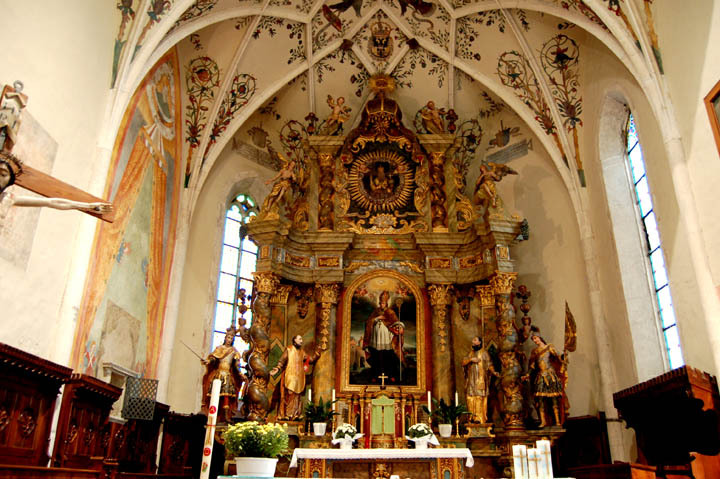 The ornate baroque altar featuring San Nicolo with other saints. 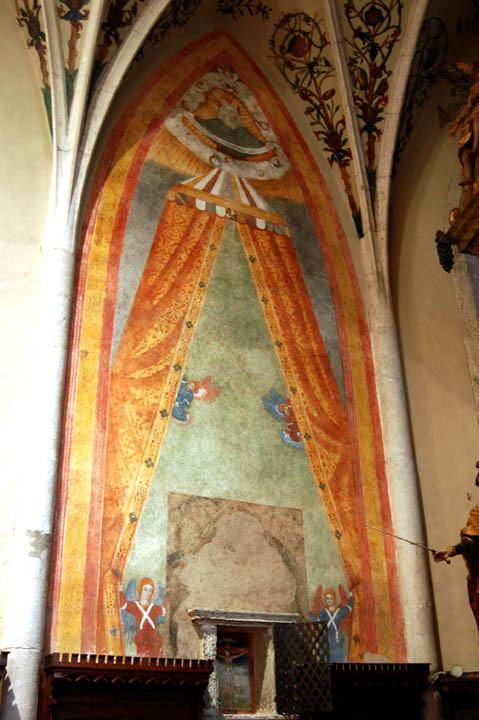 Early fresco in church knave. 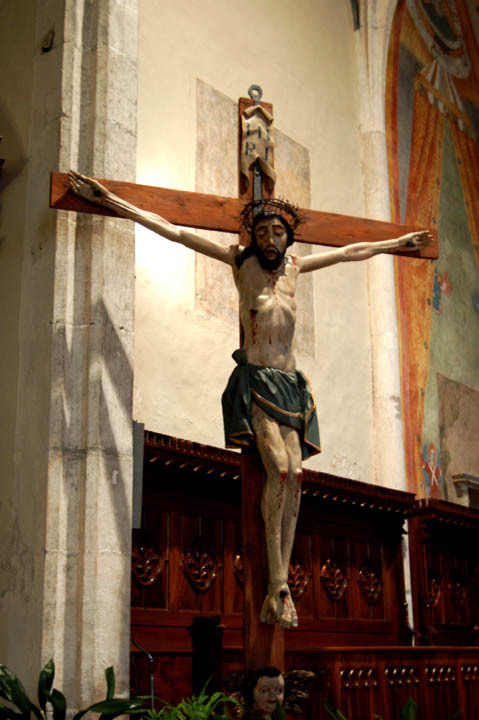 A tiny painted crucifix from the original church is protected within a wall niche, lower center. 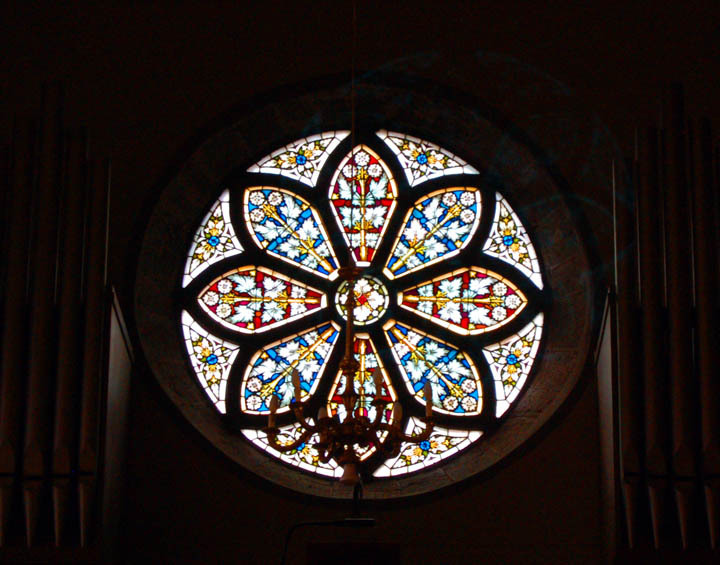 The rose window is located high in the organ loft. Several beautifully painted stations of the cross. A lovely fresco on a side wall appears to have been partially covered over. 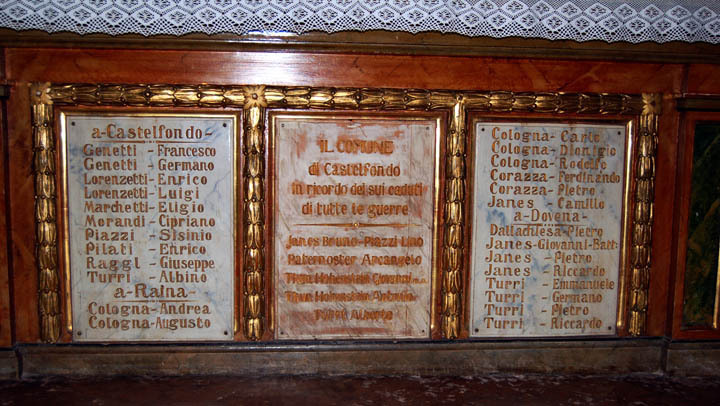 Side altar commemorates those from Castelfondo who died in both World Wars. 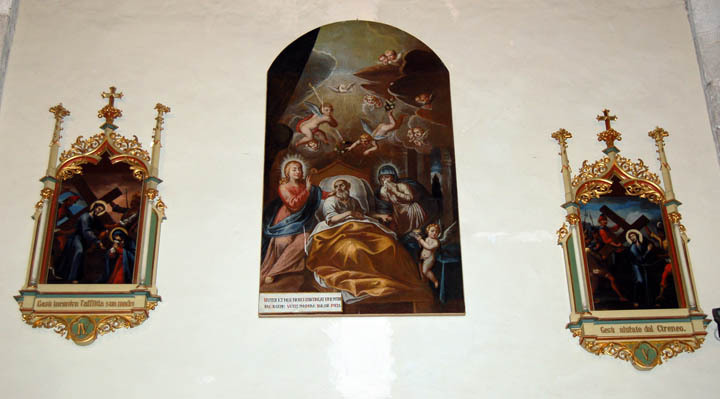 Interesting painting of the Virgin Mary with the infant Jesus and John the Baptist.